Here at Swim Guide we want Torontonians and Toronto visitors to find a great place to swim this August long weekend! That’s why we have made a list of Toronto beaches with up-to-date information on their current state. At the top of the list you will find beaches with higher water quality results and ones least affected by the spring flooding. We have also listed the closed beaches at the bottom of the list, so make sure you don’t plan a trip to one of these locations. Hanlan's Point Beach in Toronto, Ontario. Photo by Joseph Morris. During the spring and into summer, Lake Ontario experienced very high water levels. 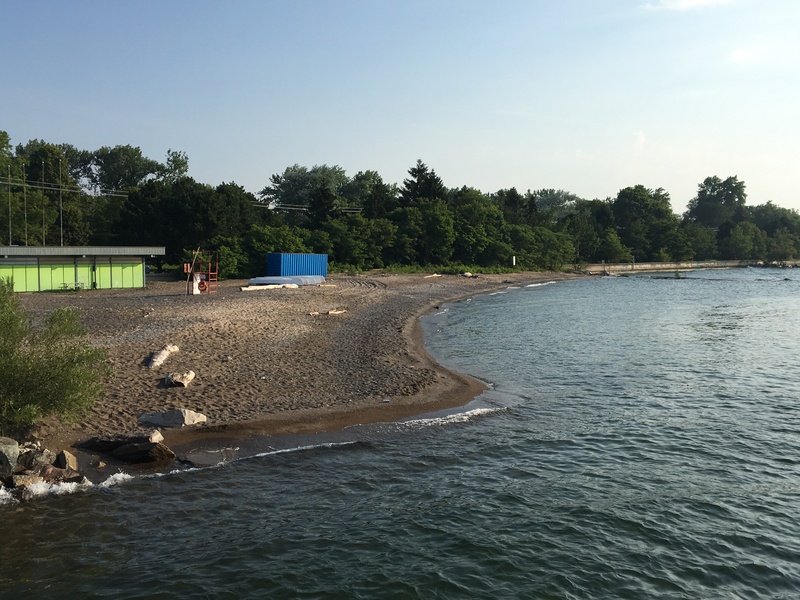 Toronto beaches bore the full effects of the historic water levels. The water level had major impacts on many bathing beaches and recreational water spots in the city. The majority of beaches were closed for the first half of summer and some will remain closed for the remainder of the swim season. The City of Toronto reopened the Toronto Island Park on July 31st, just in time for the August Long Weekend. 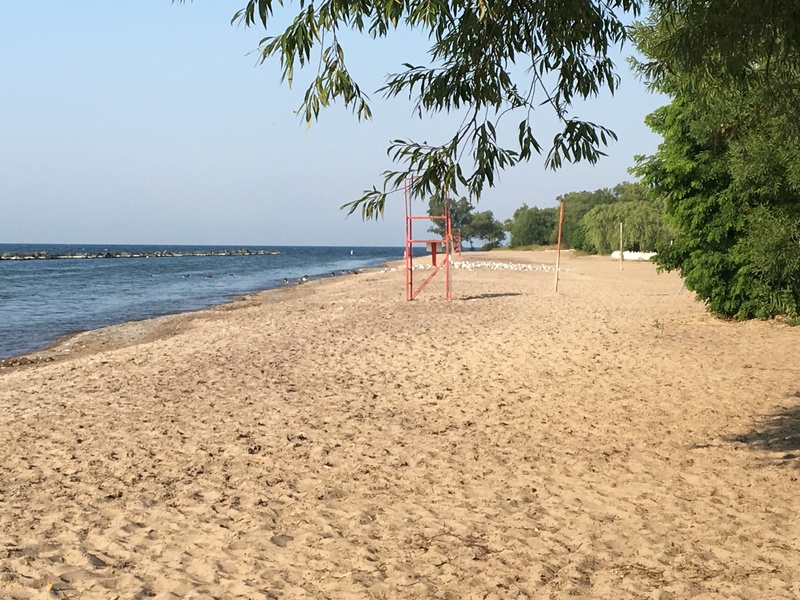 However, even though beaches are listed as open or partially open by the city, some beaches are not in the best of shape to host a beach day because of the flooding. Just a reminder to check for up-to-date water quality results on the Swim Guide website, or download the app. 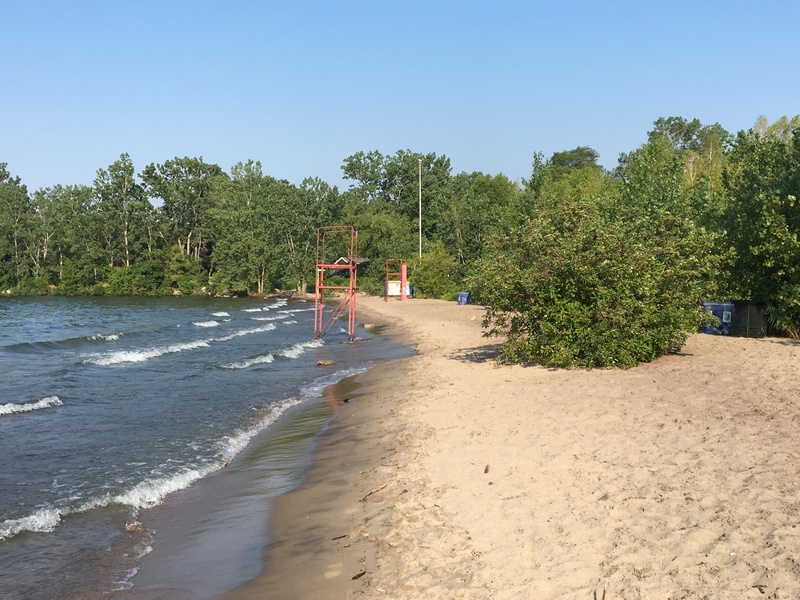 Also, because so many beaches are only partially open make sure to check this City of Toronto website for information on beach closures during the August Long Weekend. 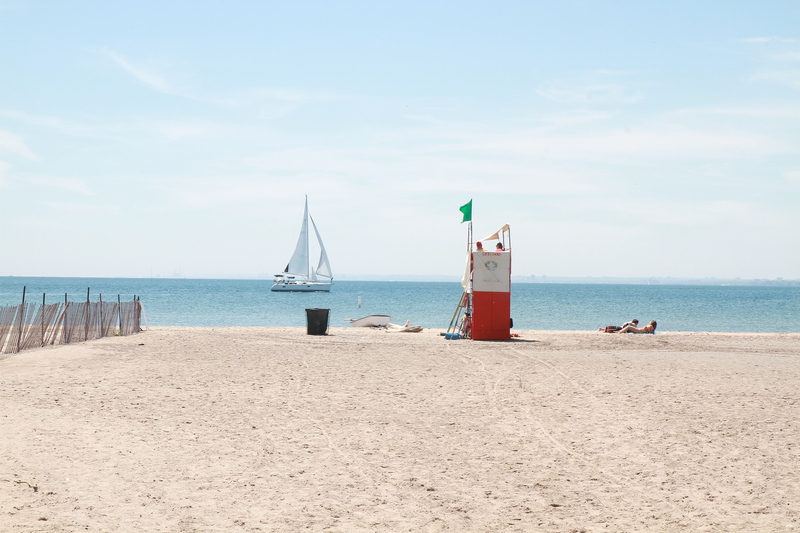 Here’s a list of the beaches of Toronto along with their current state of beach day readiness. 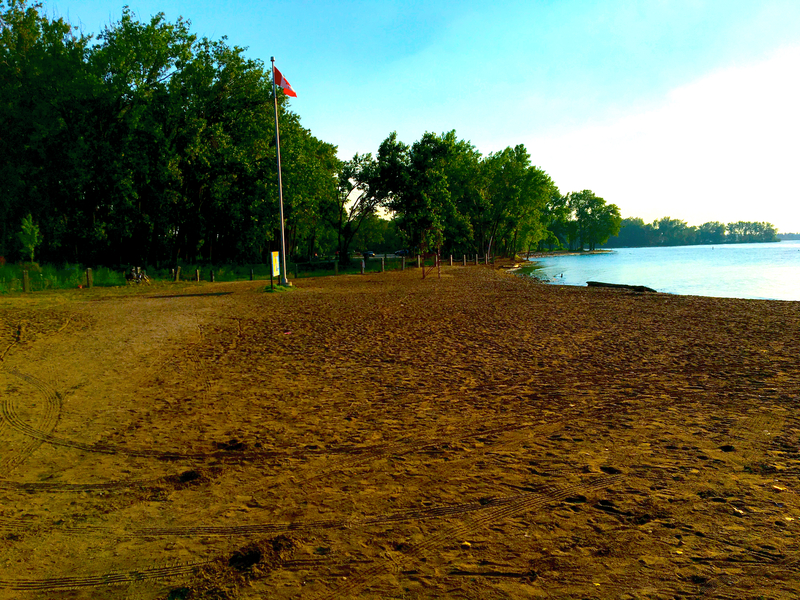 Flooding Status: this is the least affected beach in Toronto Island Park. The beach area is smaller than previous years so get there early for a spot! Flooding Status: the City of Toronto opened this beach July 31st. The beach area is much smaller than in previous years. The lifeguard towers and signs are below the water line (photo below taken August 2nd). Arrive early to get a spot for your towel at Ward’s Beach. The space is limited due to the flooding. Flooding status: the city of Toronto opened this beach July 31st, the access point being at the north end of the beach. A large portion of the north end of the beach is still covered in water (see photo below taken August 2nd). The southern part of the beach (the clothing optional beach) is severely affected by flooding. Access is prohibited to the southern area of the beach. Flooding Status: the photo below is of Woodbine beach after the flooding. Portions of the beach are still partially under water, though many locals are still visiting the beach this summer. Flooding Status: this beach is closed to the public from 5:30 am on August 2nd through August 4th for maintenance and repair work. The beach is expected to be open by August 5th. Portions of the beach have been affected by flooding, and some standing water remains on the beach. There is ample space, but arrive early for the premium spots. In addition to a sandy beach, lookouts, and trails there’s a grassy picnic area to enjoy. 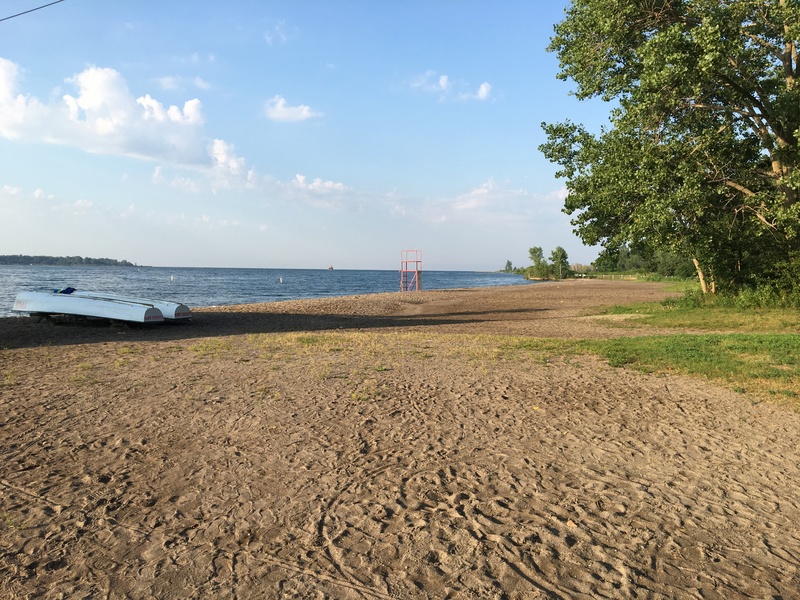 Flooding Status: the shoreline of Cherry Beach is narrower and shorter than previous years due to flooding, but the area still gets a lot of use. You will see people swimming between the buoys, and also laying on the beach. There is a nearby grassy area with picnic areas and wood BBQs. Flooding Status: The beach is narrower than previous years. However, it is still used daily for lounging and other water activities, like stand up paddleboarding. Flooding Status: because of high water levels the beach is much narrower than previous years. Access to this beach is very limited. Flooding Status: no access to this beach. Not finding a beach that meets your expectations or suits your needs? 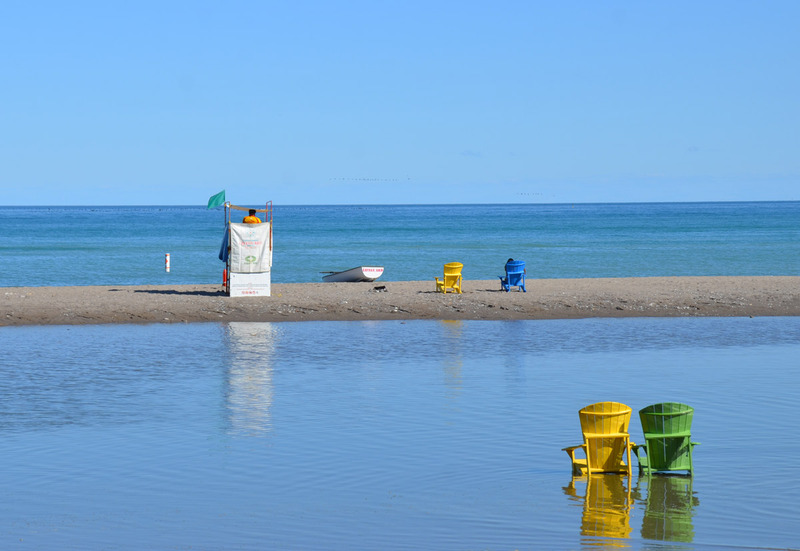 Many, many fantastic swim options exist in Ontario!